If you have read this blog for very long, one thing should be fairly obvious: I am admittedly a device cover junkie. For every device I own, I have bought at least one cover. I gift devices along with a cover. I will buy a new cover just to spruce up my Kindle. I have them in all sorts of materials, styles and colors and in all price ranges. But generally speaking, I do not like Amazon covers. Part of this is based on my previous Amazon-integrated cover experience with the cover for the Kindle Keyboard. It is also the reason that I have concerns about an Oasis cover failure. In 2010, when Amazon came out with the third generation Kindle, now called the Kindle Keyboard, they designed an integrated leather cover that had hooks to hold the Kindle in place. This cover came in two styles: one with a light ($60 at the time) and one without the light ($35). (At the time, 3rd party lights like the Kandle and the Mighty Bright were popular. This was before the Paperwhite, of course.) And it was a huge disaster. Needless to sat, after that experience, I have never bought another Amazon cover and I am not wild about the idea of a battery operated cover from Amazon until I see how it holds up. I waited to buy the $50 Fire until third-party covers were available. I have already written here about the concern some vegans have about the leather cover. I would really like to see a variety of 3rd party covers available for purchase. I will be curious to see if Amazon allows other companies to make covers for the devices or decide to keep the cover business for themselves. One of the issues that has come up consistently with the the Fire tablets, Fire TV sticks and the Kindle Paperwhite has been a constant stream of complaints about the wireless connectivity of some of these devices. I’ve experienced firsthand a tendency to disconnect from the internet and an inability to find certain wireless signals. I have read thread after thread of complaints like this one on the Amazon forums. Most people say that Amazon doesn’t acknowledge the problem. I had to change all my router setters to different channels just to get my Paperwhite to work on WiFi. Before I buy a new, more expensive Kindle, I want to know that people are not having problems with the wireless on the first generation of the new device. I still see posts on this problem continuing with the Paperwhites. When both the first generation Paperwhite and the Kindle Voyage first came out, there were a lot of comments about the uneven light and off colors displaying on the screen by the LEDs on the device. I still hear rumors about this problem with the Voyage, along with reports of bad pixels as well as pixels that are stuck on the screen. This is not just a minor update. This is a totally redesigned device. But since that’s the case, and particularly since the Oasis has a substantially higher price point than the previous models, I want to make sure that this is a really solid build. I don’t have a problem waiting for the Oasis 2 if this one has problems that need to be addressed. One of the curses of modern technology development is the concept of incremental hardware upgrades. Yes the Oasis has a few shiny new abilities. Buttons? Sure. Asymmetrical design and hibernation mode sound interesting. The accelerometer? Not such a big deal for me as I find the ones on the Fire tablets too sensitive for the slight angle that I read at in bed. And thinner? Meh. I am still going to want a cover to protect the device, even if it doesn’t have a battery. And thinness as the expense of battery life is not a good trade off in my opinion. But what else doesn’t it have?Amazon still doesn’t have a waterproof e-reader. Are they ever going to bring back an e-ink reader with text to speech ability? I still want bluetooth capability so I can connect an external keyboard for notes in non-fiction books. I want to turn pages without using my hands! I want more incremental font choice than the eight Amazon gives us. And with my vision problems, I want weighted fonts that have more contrast for my eyes. So yes, the Oasis has some good new features, but not enough right now to justify an expensive upgrade. To be clear, this does not mean that I won’t buy the latest Kindle model. Before I paid $400 for my first generation Kindle back in early 2008, I actually spent several months reading reviews and feedback about the device. Since I had worked with technology for years, I wanted to make sure that I could live with it if the device quickly became obsolete or the quality wasn’t worth the price. And for what it’s worth, I passed on the Kindle Voyage. So for now, I will be watching reviews and customer forums very carefully to see if this is a device I want to spend my money on. So how about you? If you bought one, please leave me a comment and let me know what you think. If you decided not to buy,let me know that, too. Were your reasons the same as mine? The fun is already starting on the speculation on this one. The phrase “top of the line” hints at at a new Kindle Voyage model. There has been speculation for a while about a Voyage 2 model. On the other hand, the lasted iteration of the Paperwhite is the one with the generation number, not the Voyage. I find it somewhat interesting that the announcement by Jeff Bezos (unusual in itself) comes the same day as Amazon is offering big discounts on current Kindle models. 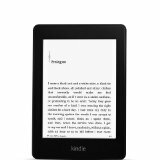 Today, if you subscribe to Amazon Prime, then you get $30 off the basic Kindle, thePaperwhite and the Kindle Voyage. 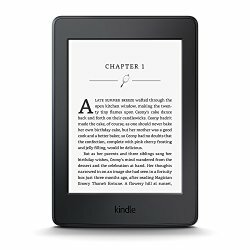 I was considering buying a new Paperwhite (today’s savings are great!) but now I am not sure. I didn’t buy a Voyage because the improvements were not enough to make me pull the trigger on a new one. People are already making wish lists for the new models. Do you want to see better fonts, the return of text-to-speech, a bigger or better screen. Are you interested in the newest shiny thing or are you happy with what you’ve got? What’s on your Kindle wishlist? Today, Amazon announced a new version of the Kindle Paperwhite. 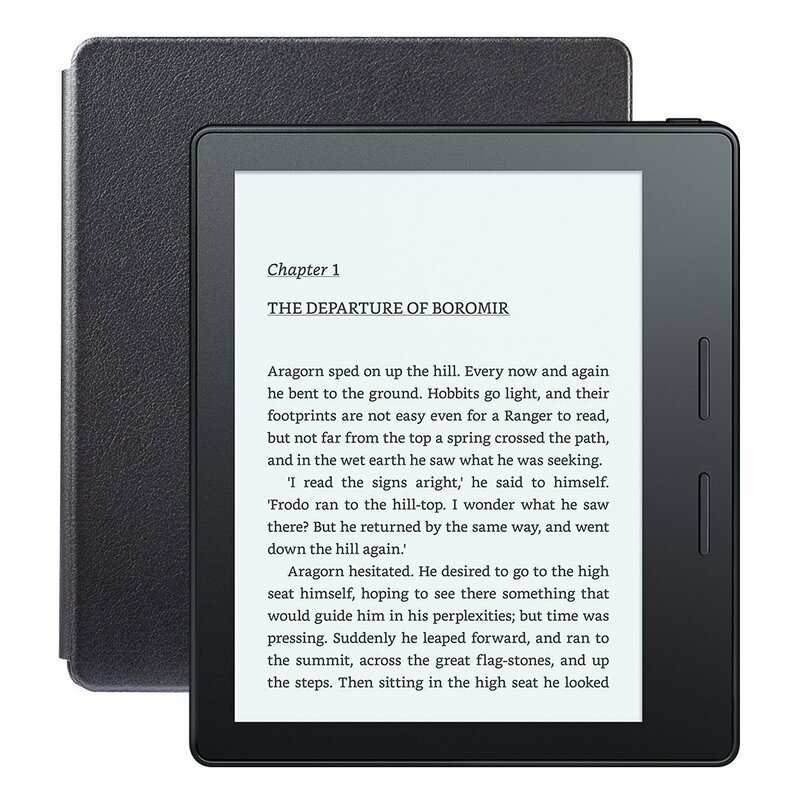 It has a 300 ppi high resolution display, equivalent to the Kindle Voyage. 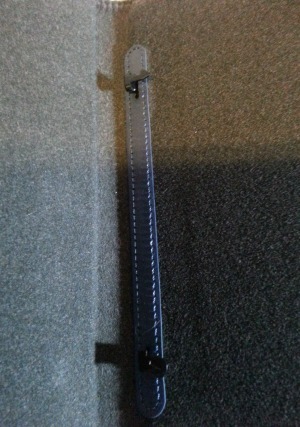 (The current model is 212 ppi.) Like the current Paperwhite, this new ereader will also soon receive the new font and feature update that includes a new more readable font and enhanced hyphenation and page layout features. The starting price will remain the same as the current model: $119 with special offers. The device ships on June 30, 2015 and will be available worldwide. You can find out more info and order here. Amazon is continuing to offer the current Paperwhite covers alongside the new Kindles, so presumably, there has been no change in the size of the device. That is a plus if you like to use a cover; it generally takes a while for 3rd party vendors to catch up if you are looking for a budget priced cover like the MoKo Cover Case or MoKo clamshell. Right now. I am going to pass on a new Paperwhite, unless one of my older Kindles bites the dust. I have two Paperwhite 2’s now, one 2GB and one 4GB. A slightly higher resolution is not enough of an upgrade to make me pull the plug. So, what about you? Are you tempted by the new, improved Paperwhite? Today is the last day to get $20 off the Amazon Kindle Paperwhite. If you are looking for a front-lit, dedicated e-ink reading device, this one is a great choice. My husband and I both have Paperwhites and love them! In my husband’s case, this replaced the first Kindle Touch. He loves the front-lit screen on the Paperwhite. Do you have one of these or replace an earlier model KIndle with one? Sound off in the comments and let me know what you think of the Paperwhite. With only a few more online shopping days left until Christmas, Amazon is letting everyone know with prominent product placement and low, low prices that they REALLY, REALLY want you to buy Kindle and Fire devices this holiday season. Today’s Gold Box Deal offers a variety of Kindle Fire HDX devices for sale at $125 off. And, most of the other tablets in the Fire line-up are on sale as well. You can also check out the deals on other Kindle and Fire devices which are going for near Black Friday pricing. Amazon is offering up the basic Kindle for only $59 and the Paperwhite for only $99. The Fire TV is only $79 and the unlocked Fire Phone is also on sale. Today, Amazon has a Refurbished Kindle Fire HD 8.9 with 4G LTE as the Bonus Deal of the Day. It is $199 for the 32GB version.This is the older version with the micro-HDMI port and the 4G coverage is set up for AT & T coverage.